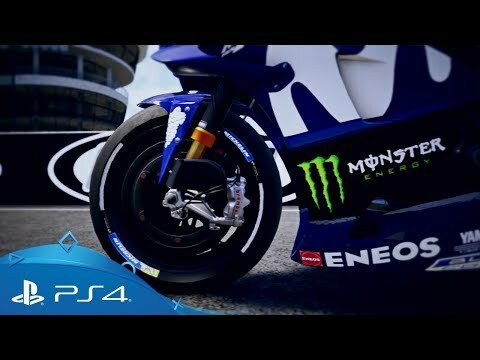 Experience the adrenaline of the new racing season with MotoGP 18, the official videogame of the world's most exciting motorcycle championship. 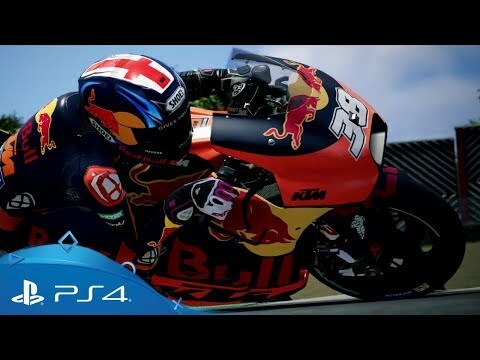 Pursue your career as a professional rider starting in the Red Bull MotoGP Rookies Cup and working your way up to the Premier class in MotoGP 18, the official game of the hugely popular motorcycle championship. Race with all the riders of the MotoGP on 19 official tracks. Enjoy an even more immersive gaming experience and a brand new edition of the MotoGP eSport Championship. Enjoy the new MotoGP season with the official rosters of MotoGP, Moto2, Moto3 and Red Bull MotoGP Rookies Cup. Drive on all 19 official 2018 tracks, including the brand-new Thailand track Buriram International Circuit. Powered by Unreal Engine 4, MotoGP 18 boasts a series-best marriage of graphics and gameplay. For the first time in the franchise, riders’ real faces appear in-game thanks to elaborate 3D scans, and drone scanning technology means tracks are reproduced more accurately than ever before. Dive deeper into the race than ever before with brand new cut scenes of the starting grid, a unique MotoGP ID to track your progress, comprehensively updated racer AI, tweaked bike physics and a new collision system.